If you’re interested in the issue of gender equality – and I hope that you are – or you enjoy the writing of a modern TV great – and I hope that you do – then you’ll probably enjoy the whole video. 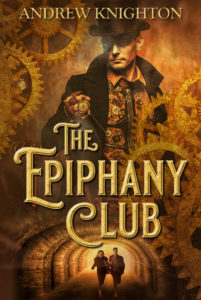 But what I want to mention here, what caught my writerly ear, is what he discusses in the first few minutes – how words sound. It’s easy to forget, when writing prose, that the sound of words can be as important as their meaning in building atmosphere. Poets use this all the time – choosing light, babbling sounds to describe a brook or heavy, solid words to describe a rock. But then, poetry is often about the very precise application of a small number of words. As prose writers, we’re trying to lay down a lot more letters on the page. We’re aiming for precision of meaning, and the precision of sound can get lost in the mix. Still, if I use ugly, clunky words to describe my delicate brook, that ugly clunkiness is going to undermine my aim. I should bear that in mind. For me, this goes on the long list of things I will try to bear in mind when writing – I picked up another today from Victoria Grefer, a golden rule of description. Something gets added to my list most days, which mean that a lot of stuff has fallen off the list too. But as long as a few thinks stick, or become instinctual, I should keep improving. I might try some poetry exercises as well. 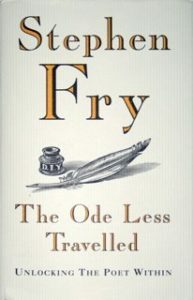 Mrs K has the fabulous Stephen Fry’s Ode Less Travelled, and if I’m going to learn from two wordsmiths this week, then Whedon and Fry is about as awesome a combo as I could get. Anybody else got any good tips or resources on this? I’d love to hear them.